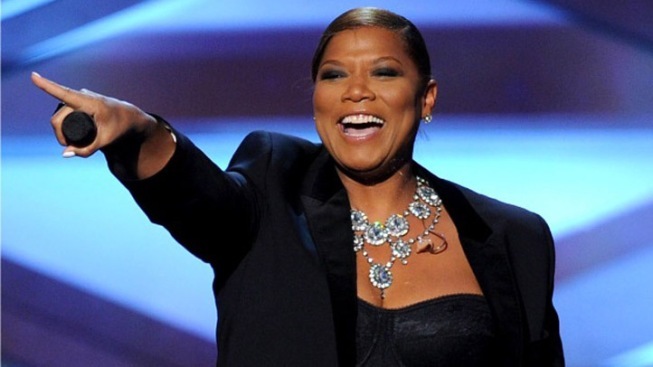 Jan. 5, 2011: Host Queen Latifah speaks onstage during the People's Choice Awards at the Nokia Theatre. Before the people can make their choices for the People's Choice Awards, they first need to choose the categories. On Tuesday, voting opened for new awards in movies, television and music. In addition to suggested new categories such as "favorite superhero" and "favorite talent judge/mentor," users can enter their own suggestions. "Our categories evolve each year to reflect the constantly changing popular culture," said Fred Nelson, president of People's Choice. "We're letting the fans help us choose new categories for 2012; after all, their passion for entertainment is the heart and soul of the People's Choice Awards." The new categories will be revealed October 18. The show is scheduled for January 11, 2012, at the Nokia Theater in Los Angeles.